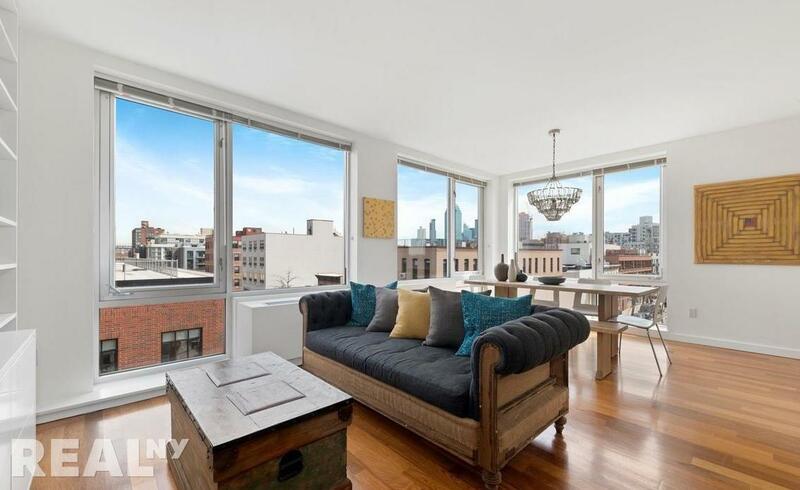 Amazing 3-Bedroom 2-Bath corner apartment with a 730 sq ft private terrace at The Foundry in vibrant Long Island City! 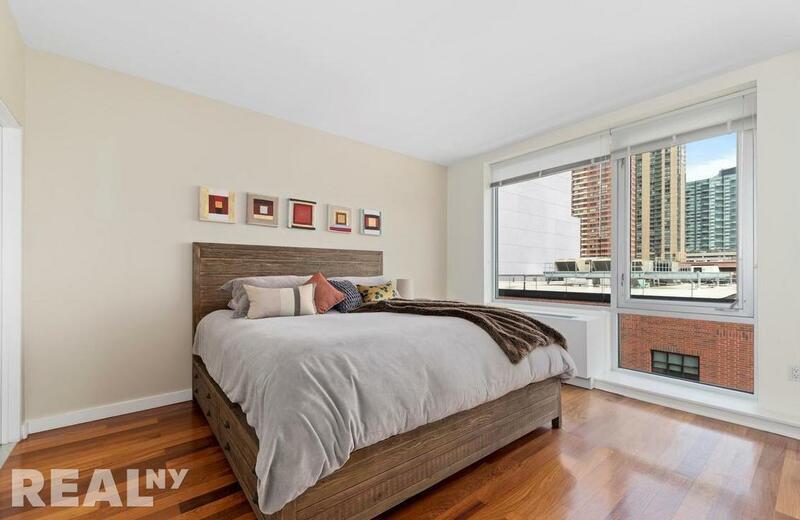 NYC living doesn't get much better than this, in a full-service luxury building located on a quiet tree-lined street in the prime LIC waterfront. 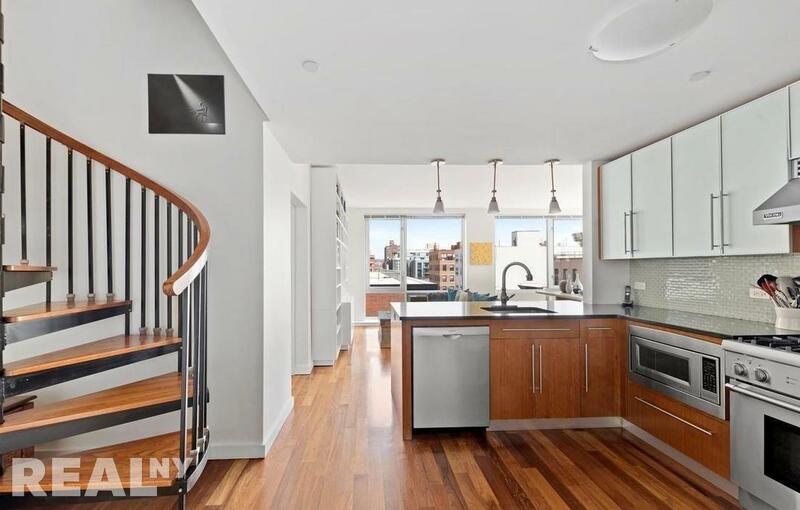 This exquisitely-designed contemporary home boasting 1,306 airy sq ft provides enviable living quarters complemented by an exclusive extraordinarily large outdoor space that is private from rest of the building and offers attractive panoramic views, including of the Empire State Building. The interior entry foyer with a coat closet & washer/dryer closet introduces elegance and opens in all directions to the dramatic living space. Floor-to-ceiling windows & double exposures invite an inpouring of natural light throughout the open-concept layout & generously-sized bedrooms. 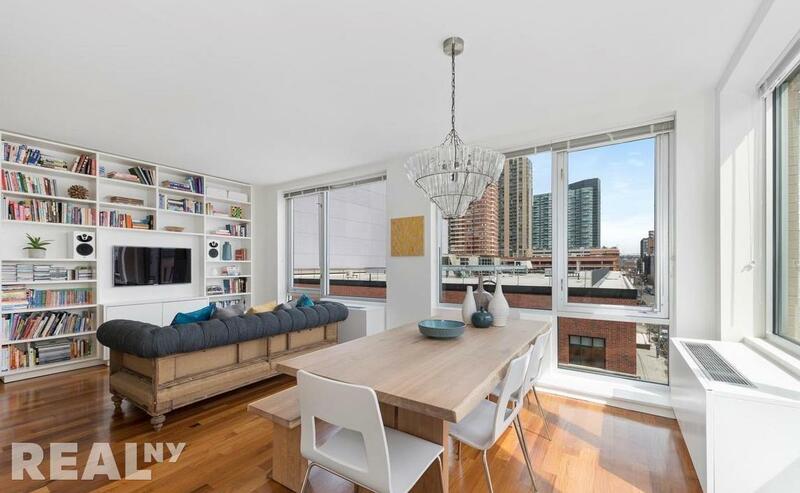 With high end beautiful wood floors throughout, the setting is perfect for formal dining & casual entertaining with the corner (north/east) living room as your backdrop, with nice views of Court Square/Queens Plaza. A separate dining area with a striking chandelier is perfect for sharing sit-down meals. 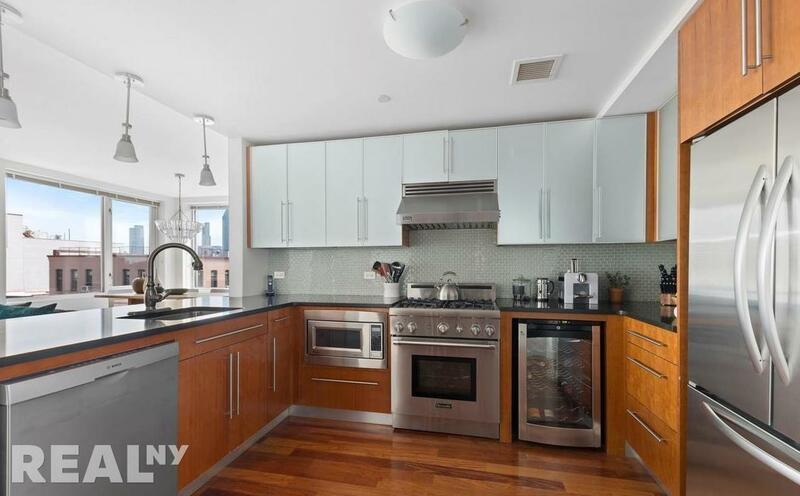 The chef in you will love the gourmet kitchen outfitted with ample storage, black granite countertops, blue porcelain backsplash & stainless steel appliances (Thermador range, Viking hood, Kitchenaid refrigerator, brand new Bosch dishwasher, and built-in wine cooler). 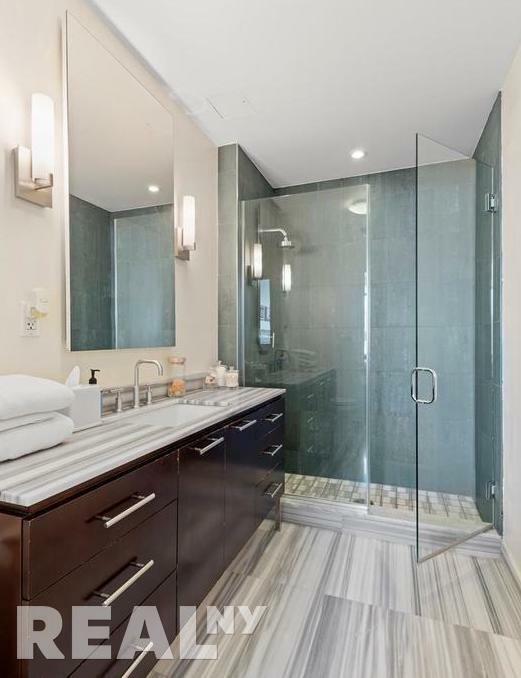 The King-size north-facing master bedroom has a large closet & stunning en-suite bath with a large vanity, oversized shower, stone tiles, marble floors & Kohler fixtures. The 2nd bedroom/kids room offers eastern exposure & 2 large closets. The adjacent 2nd full bath is lovely with a deep soaking tub. Bedroom 3, also east-facing, comfortably fits queen-size furniture & can also serve as a home office or family den.